SPRE thanks founding member, Martha Burton / Renewal Partners for researching and writing this introduction to Central City Foundation. For more than 110 years, Vancouver’s Central City Foundation (CCF), has been deploying their expertise and capital to help build strong resilient communities by responding to basic needs for food and shelter with a focus on under-supported groups. CCF does this by engaging a network of community partners to fund innovative solutions through funding and support programs, providing capital for projects and focusing exclusively on social purpose real estate. CCF is also a founding member of the SPRE Collaborative. Central City Foundation currently owns five properties--a portfolio with a variety of purposes that is a direct result of response to community needs. A guiding principle in assembling their now decades old, successful portfolio of investments, has been their relationship approach. Each property is a result of building a strong relationship with community partners, responding to a need while building a better community for all. 42 affordable housing units with the Vancouver Women’s Health Collective on the main floor. This women-centered health and wellness clinic is operated in partnership with BC Women’s Hospital & Health Centre. Provides supported housing, life skills, education and employment training to help prevent children in foster care from becoming homeless upon aging out of care. Aunt Leah’s also supports young mothers in need from losing custody of their children. In addition to providing subsidized space for their Youth Resource Hub and head office, CCF has provided additional grants and vital funding for Aunt Leah’s to secure/own their real estate and to purchase a second location for their young mother co-hort. Since 1999 this building has operated as a model SRO (single residential occupancy space) providing safe & affordable homes for inner city residents. The Foundation keeps the rents at or below the current $375/mon Provincial shelter rate. Ground floor commercial space is rented at below market rates to Crosstown Clinic, operating as research and treatment facility on therapeutic methods to treat chronic heroin addictions. It is the only clinic of its kind in North America. Residential treatment centre in Keremeos for young adults 17-24 years old, challenged by addictions. It is operated by Pacific Community Resources Society. 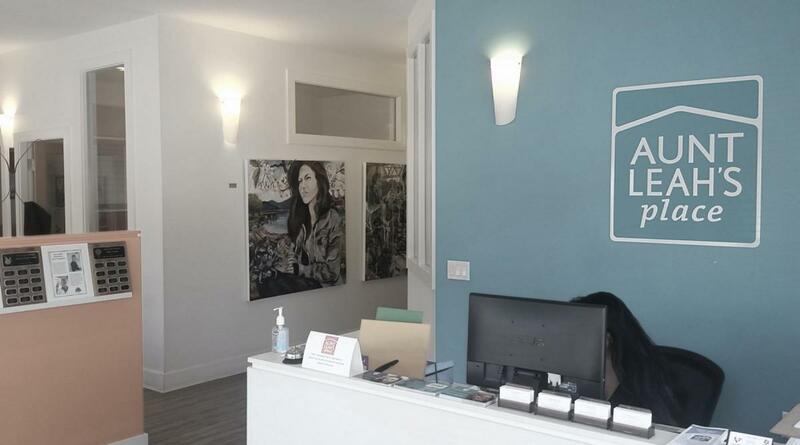 An aboriginal focused childcare centre that also serves as a service hub for families in the neighbourhood; it is managed by Vancouver Native Health Society. In addition to their real estate portfolio, Central City Foundation has been a leader in researching and communicating the the impact of social purpose real estate. The Foundation’s Community Report 2015 outlines their Social Return on Investment (“SROI”) for CCF’s portfolio. SROI is a way of measuring the value of the benefit society derives from social outcomes of the activity by an organization. It puts a dollar value on the economic impacts as well as the social impacts. For every $1 spent, Central City Foundation created $3.90 in social benefits. The overall return on capital invested in social purpose real estate was 18%. Expressed another way, as a result of CCF investments in social purpose real estate, $2.4 to $3.4M in direct community economic value was created with additional $4 to $11M in indirect community value. The Foundation is a leader, not just in British Columbia, but a leader in Canada in the way they deploy and leverage their capital to provide safe, stable and affordable spaces. CCF serves the role of ambassador for the communities they serve, for example, keeping the inner city in the minds of policy makers. Over the decades the Foundation has been steadfast in bringing social issues back to the public discourse until the issue has been resolved via a community-based action and resolution. In 2017 the Foundation launched The Hope Dialogue Series to strengthen their role in amplifying the need for community-based solutions. Each dialogue focuses on one particular topic and seeks to deepen understanding of the issues and challenges, then moves to imagining innovative solutions to improve lives. Central City Foundation devotes 40% of its capital to social purpose real estate, but they are more than a landlord professionally managing tenants. Other tools include a diverse capital-granting program that might include equipment purchases, technical support basic operational overhead, or grants for renovations. While tenants will change over time, what does not change is the Foundation will always use capital to invest in social purpose real estate in community. Central City Foundation is one of the best Canadian examples of a mission driven organization leveraging social and financial capital in this way.